Pakistan beat Sri Lanka by 32 runs in the second one-day international played at Abu Dhabi, taking a 2-0 lead in the five-match series. The home team scored 219/9 thanks to Babar Azam's century. In reply, Sri Lanka was all out for 187 in 48 overs. This result marks Sri Lanka's ninth consecutive ODI defeat. Pakistan won the toss and decided to bat first. They started poorly, and had three wickets fall on a score of 40 runs. Then Shoaib Malik (11) stepped in and put together 31 runs alongside Babar Azam. Following his dismissal, captain Sarfraz Ahmed (5) and Imad Wasim (10) were outed soon after. 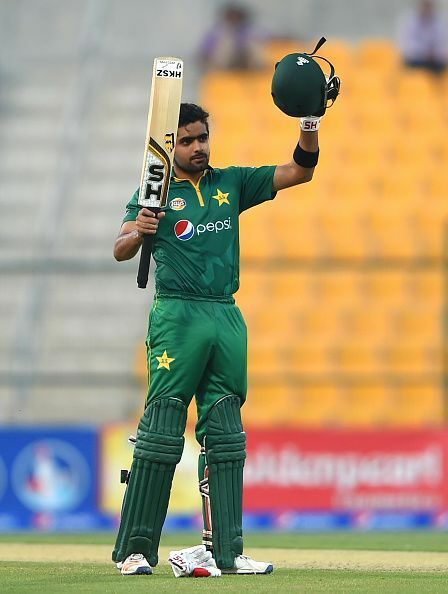 Babar Azam (101) and Shadab Khan partnered to score 109 runs, and helped Pakistan get to a score of 200. Azam made his seventh century, scoring 101 off 133 balls. Shadab Khan scored 52* and Hasan Ali scored 7 runs, taking Pakistan to a total of 219 runs. Lahiru Gamage took four wickets for Sri Lanka. Thisara Perera, Jeffrey Vendersay and Suranga Lakmal took one wicket each. Sri Lanka started poorly, losing the first two wickets for 30 runs. Lahiru Thirimanne (12) added 40 runs for the third wicket with Tharanga. But after that, the next four wickets collapsed in quick succession, and the score was 93/7 in the 29th over. Tharanga scored 76 runs with Vandersay (22); the former remained unbeaten till the end. But a win was still out of reach, and the team succumbed with a final score of 187/10. Shadab took 3 wickets, while Mohammed Hafeez, Shoaib Malik, Hasan Ali and Ruman Rais took one wicket each. The third match of the series will be played in Abu Dhabi on October 18.